Exploring wine tours in Napa Valley is an adventure in itself, and one of the things that tourists do not want to miss. Of course, Napa Valley is famous for its wines, wineries, and beautiful vineyards. Napa Valley’s Mediterranean climate, location, and geography make the region a perfect place to grow grapes. Winemaking in Napa Valley began as early as in the mid-19th century. After numerous setbacks during the late 19th to early 20th century, Napa Valley’s wine industry recovered and enotourism also sprang from it. Enotourism, or wine tourism, is a relatively new form of tourism. The evolution of enotourism in Napa Valley began in the mid-1970s, due to its vigorous and concerted marketing efforts. The Judgment of Paris or the Paris Wine Tasting of 1976 — a wine competition organized in the French capital — elevated local wines in the Valley as some of the finest quality wines in the world. And because Napa Valley wines have come to be world-famous, wine-loving tourists from parts of the US and around the world are flocking to the Napa Valley to have the taste of the finest wines. Tourists will also marvel at the unbeatable natural beauty of the valley, as well as enjoy other amenities such as shopping, dining, entertainment, and relaxation. One of the best ways to conduct wine tours in Napa Valley is, of course, to have someone along who already knows the region well. A professional guide, or at least a friend who knows the Valley, should be with you as you tour, whether you go on a scenic drive, by train, or biking. And they’re not the only options to navigate around the Valley. You may go boating, motorcycling, horseback riding, or just exploring the Valley by foot. There’s also one marvelous way to appreciate the beauty of the Napa Valley: through hot air ballooning. Many tourists say that riding a hot air balloon is one of the best experiences they’ve ever had while staying in the Napa Valley. 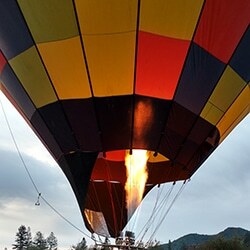 And what makes a hot air balloon so special when compared to other methods used to discover wine tours in Napa Valley? There are several companies in the Napa Valley that offer hot air balloon flights to tourists, but only Balloons Above the Valley (BATV) guarantees to make your flight truly wonderful, awe-inspiring, and memorable. Balloons Above the Valley will give you something beyond the hot air balloon rides. We won’t allow you to have your sunrise balloon flight hungry and lethargic, so we offer you pre-flight coffee and pastries for breakfast to keep you up on your feet. Then hop into the hot air balloon basket and experience what will be the ride of your lifetime. In the crisp, gentle, and stable morning wind – perfect weather for a hot air balloon flight – it feels like you’re flying like a bird in the sky. Riding on a hot air balloon will enable you to see the beautiful, vast expanse of the Napa Valley. You’ll see neat rows of grapevines, gorgeous clusters of trees and shrubs, and the overall breathtaking colors that Mother Nature offers, depending on the season. In the summer mornings, you will be held at awe at Napa’s wonderful shades of green. While in the fall season, your breath will be taken away by a magnificent display of warm, golden colors of the trees and the vineyards, whose grapes are ready to be harvested. Aside from enjoying the natural beauty of the Napa Valley, being up in the sky makes you feel you’re at peace, a world away from the mad rush of activity down on the Napa grounds. You will feel utter ethereal calm and true oneness with Nature. Of course, you do not want to forget to take pictures of the beautiful natural wonders of Valley with your camera or smartphone. You may enjoy your hot air balloon flight so much that you may wish the skyward journey never ends. However, you may feel hungry at this point. But worry about your hunger no more, as a delicious post-flight brunch awaits you and your friends. The post-flight brunch celebration is also the perfect opportunity for you to reminisce with your friends about that breath-taking hot air balloon ride you’ve just experienced. BATV also offers packages that include tours of the wineries in Napa and Sonoma, some wine and olive oil tasting, delectable picnic-style lunches, and transportation services including a limo service from San Francisco (with on-board breakfast and mimosa). and ferry back to the city proper. 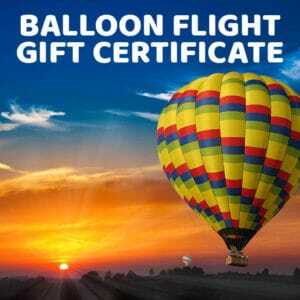 There’s also another package for you if you don’t wish to ride on the hot air balloon. For those who are afraid of heights, one person from the party may follow the hot air balloon on the ground while your party takes their sunrise balloon flight. We also offer exclusive flights which allow you to enjoy a private table at our post-flight brunch celebration. Aside from BATV’s standard packages, we also offer proposal and wedding tours package, as well as group tour and corporate tour packages. Contact us at 800-464-6824 or by emailing info@balloonrides.com and we will be glad to assist you with booking your reservation. There are many great options to choose from when you want to discover wine tours in Napa Valley. But if you want to make this more unique and truly unforgettable, why not ride a hot air balloon? If you decide to do so, choose Balloons Above the Valley, the pioneer of quality hot air balloon flights for wine tours in Napa Valley.